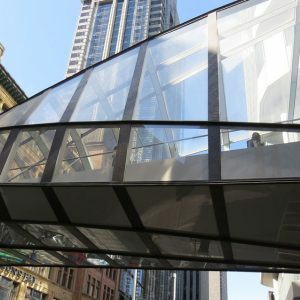 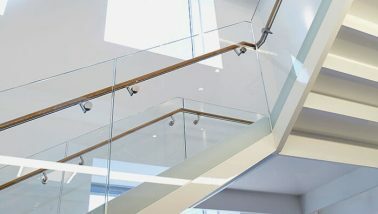 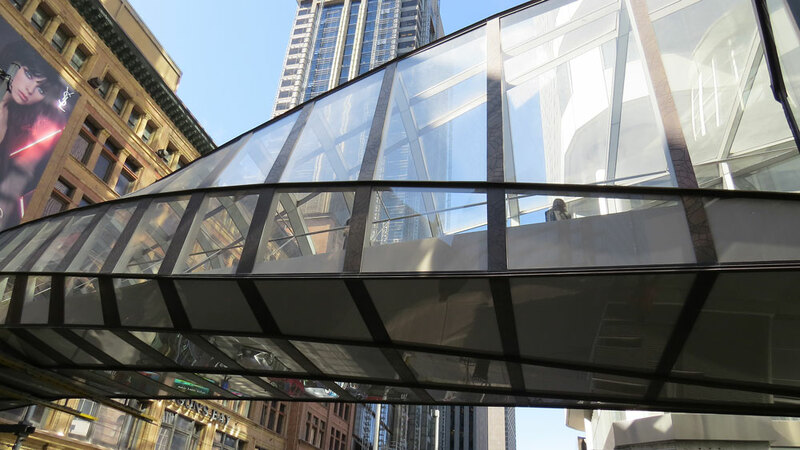 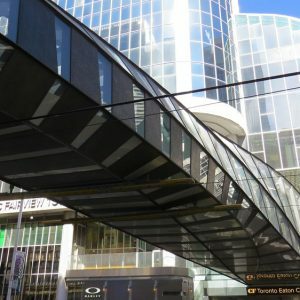 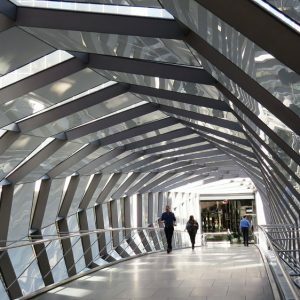 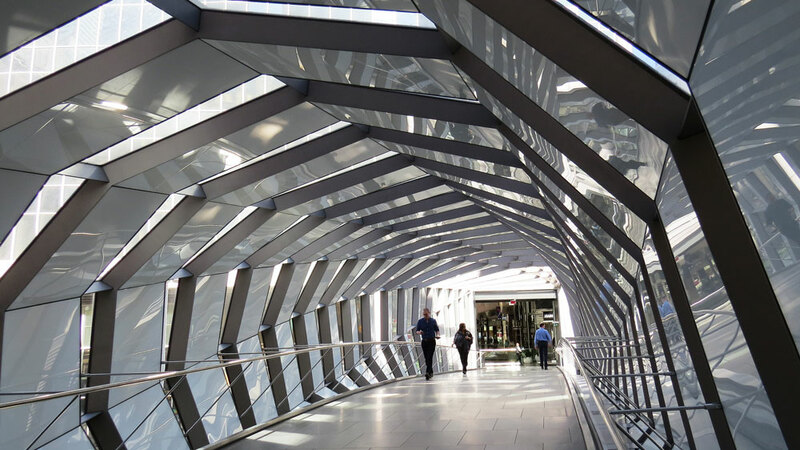 Toronto Eaton Centre Pedestrian Bridge - Walters Group Inc. 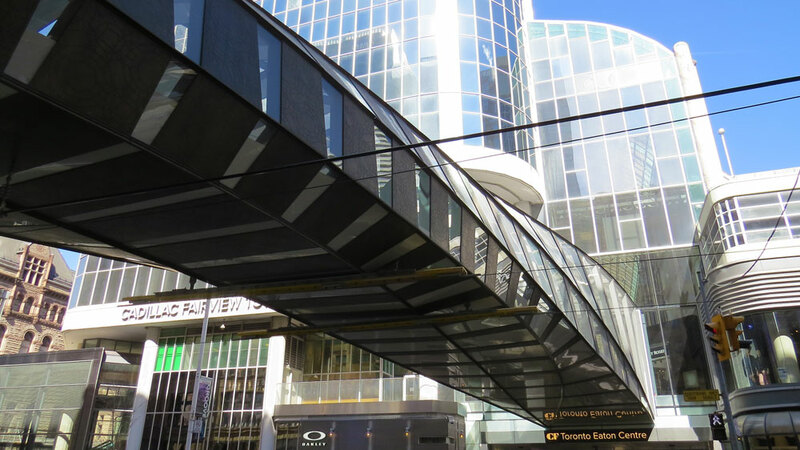 The new bridge represents a significant milestone in the redevelopment of CF Toronto Eaton Centre, helping to realize the company’s vision of including Hudson’s Bay and Saks Fifth Avenue as part of CF Toronto Eaton Centre and its promise of delivering a premium shopping experience. 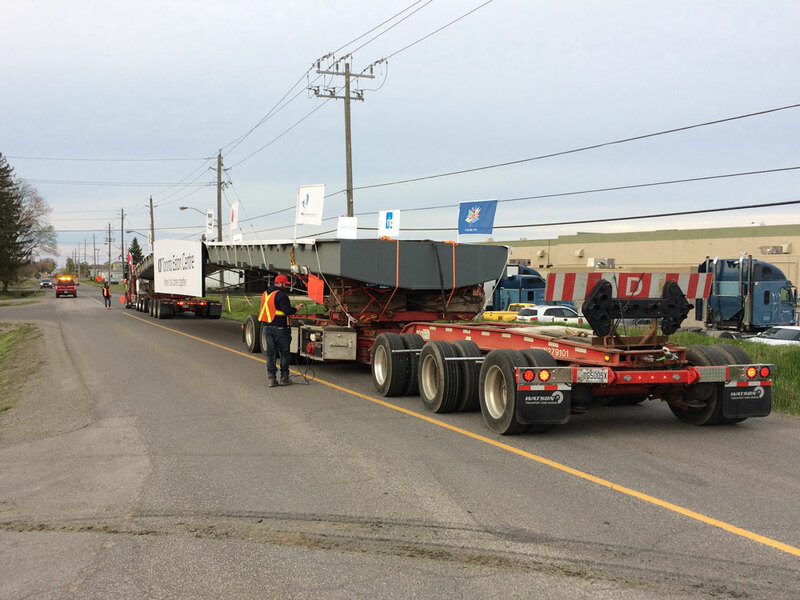 Prior to installation, the bridge was assembled adjacent to the shopping centre on James Street and lifted into place once complete; the new bridge opened late 2017. 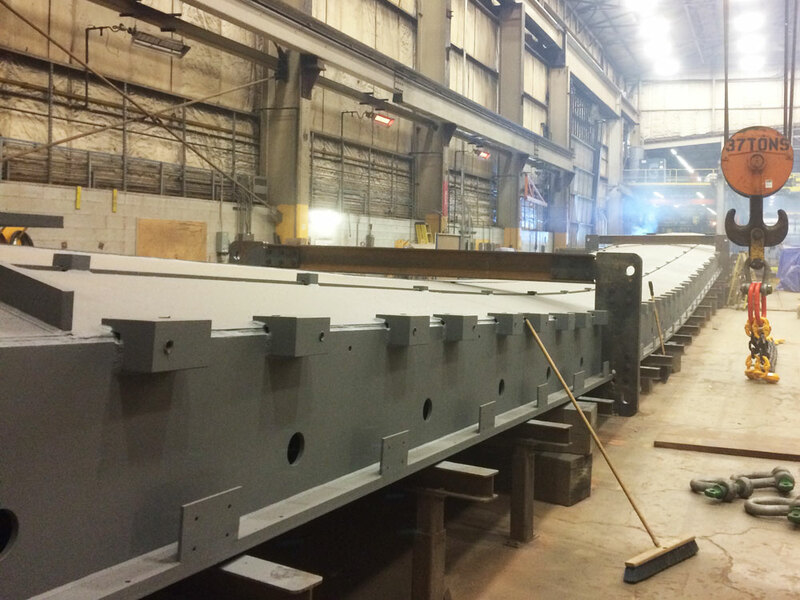 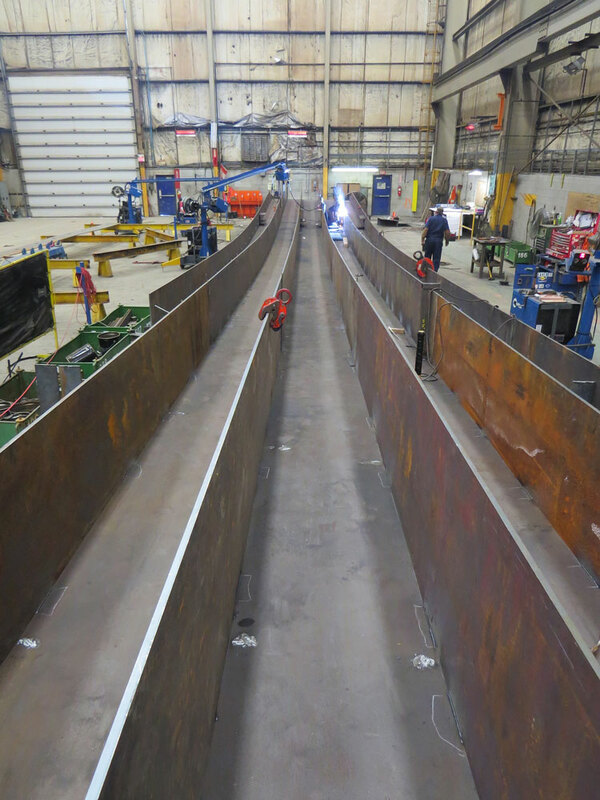 Walters was responsible for the supply of the main structural box girder supporting the AESS ribs and façade. 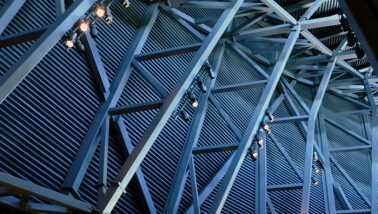 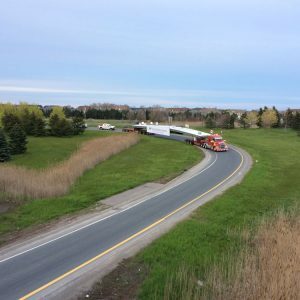 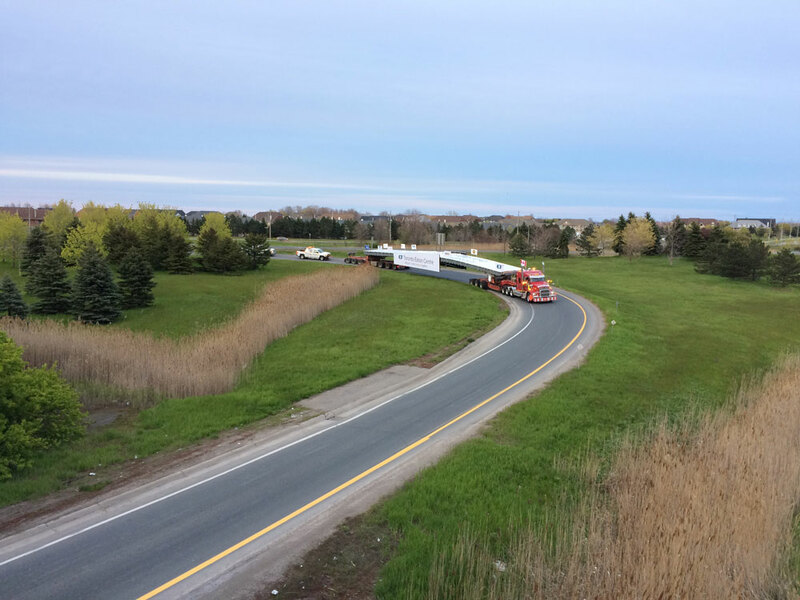 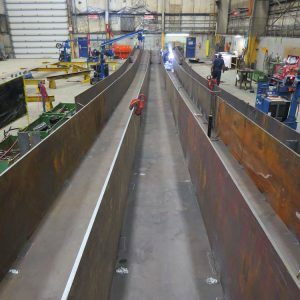 We were also responsible for ensuring safe shipment to site and placement on temporary shoring towers while the AESS steel was being installed, prior to its final lift and installation as one complete assembly. 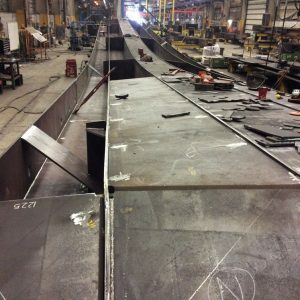 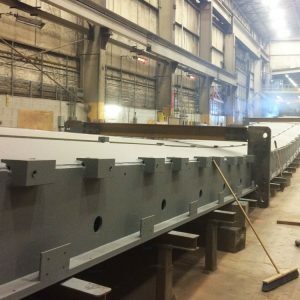 The bridge twists from one end to the other so the fabrication jig was key to ensuring the bridge conformed to design intent and met tolerances. 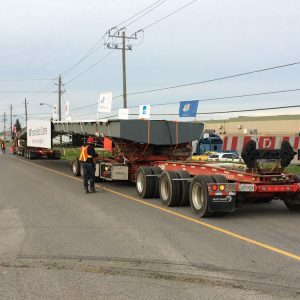 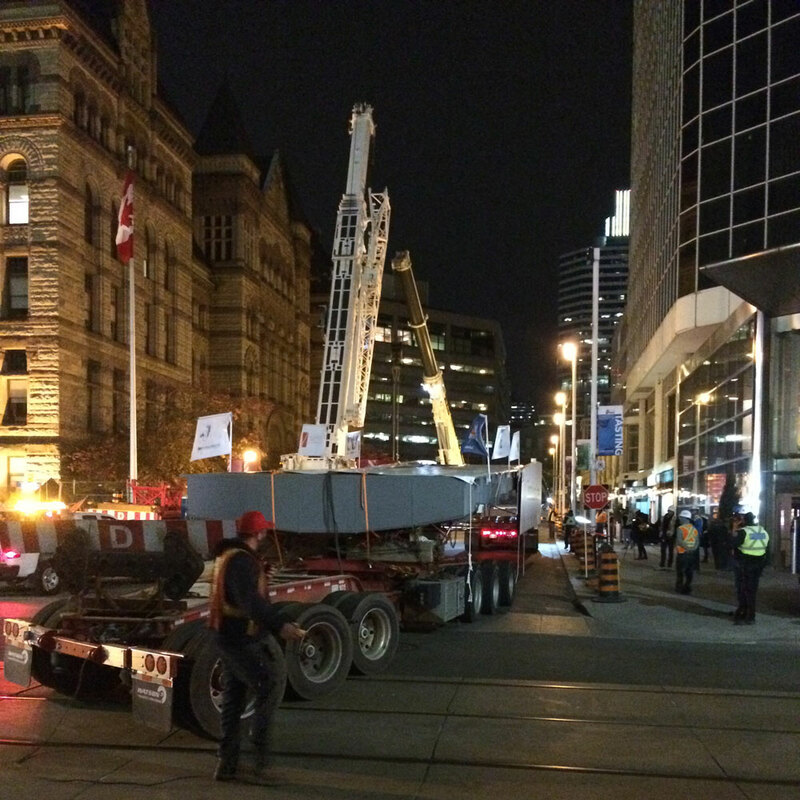 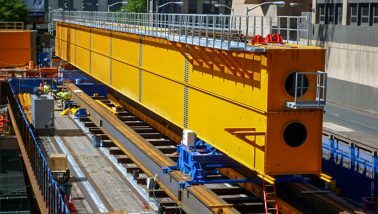 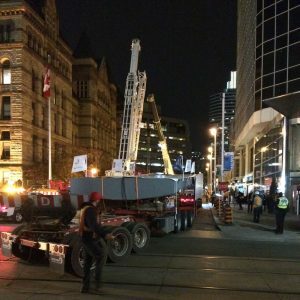 Obtaining the appropriate permits to ship the bridge to site in one piece involved intensive planning and road closures at the busiest downtown core in Canada. 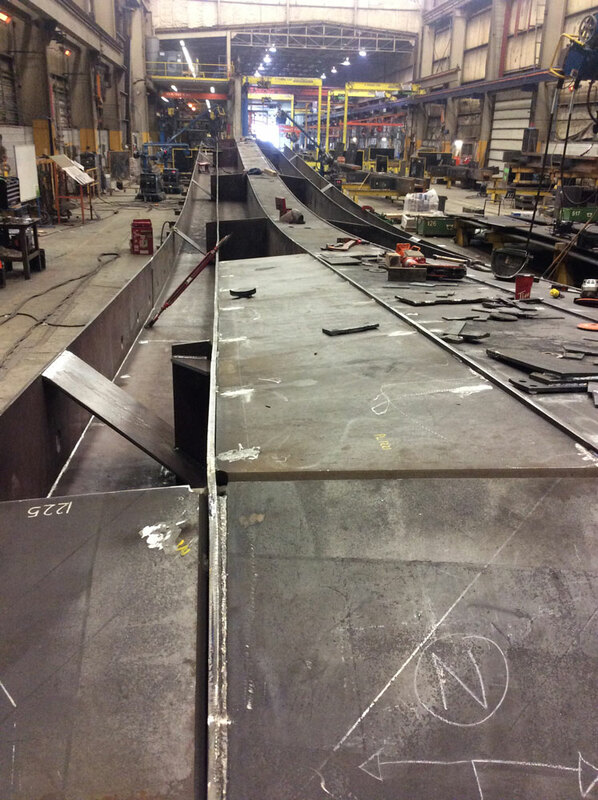 Once fabrication was completed the box girder was tipped on its side to measure and confirm its camber.